In a nearly 2000-people mega launch event today, LeEco, the global internet and technology conglomerate has finally unveiled its much awaited second generation Superphones, Le 2 and Le Max2, with the company's symbolized content ecosystem and membership being bundled, together with its marketplace e-commerce website, LeMall. The company also revealed the world's first CDLA (Continual Digital Lossless Audio) Type-C earphone, and its project of recruiting 200 "CEO"s.
Tin Mok, VP of Le Holdings and CEO, APAC, said, "Today is an extremely important day for us in our India journey so far. It marks our entry into the thriving e-commerce industry with the launch of LeMall. Addtionally, we are thrilled to bring our second generation Superphones with supertainment to India. Also, we’re happy to have achieved a significant milestone by pioneering digital lossless sound experiences. As forerunners in bringing the breakthrough technology as well as great features at a disruptive price, we remain committed to bringing best-in-class devices and services to our users in India." Atul Jain, COO, Smart Electronics Business, LeEco India, unveiled the 2nd generation of Superphones, calling them "redefine product value". "LeEco is ushering into the ET Era, or what we call Ecosystem Technology Era. It's time to end the practice of taking the consumers a ride and put an end to profit-oriented business models, but actually redefine product value." "We are focusing on the Eco Model, an integration of software, content, services, applications and hardware." As the next generation phone, Le 2, with a standard combination of 3GB RAM and 32GB ROM, is greatly improved from its predecessor. Powered by the Octa-Core Qualcomm ® Snapdragon TM652. Le 2 provides a 16MP rear camera and 8MP front camera. The image quality is visibly better with vibrant and true-to-life colours. With technologies like PDAF, Closed Loop and other ground-breaking technologies, people can catch clear pictures in moving and unfavourable conditions. Le 2 has an In-Cell display screen which is usually featured with overpriced phones. The screen's blue light filter helps reduce eye fatigue, while at the same time, the in-cell screen allows devices to be thinner and lighter. It is also important to note that in addition to 3G, LTE and GSM, Le 2 supports all 4G bands in India and also will have VoLTE very soon over an OTA. 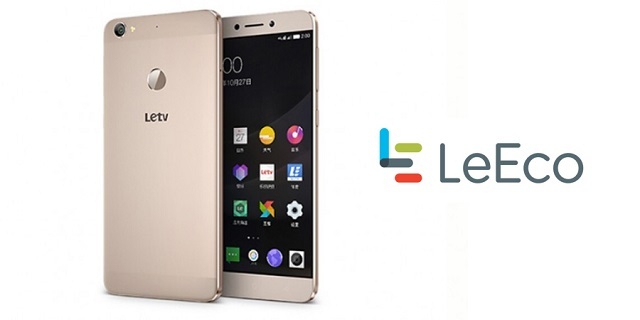 Besides Le 2, LeEco also released 2 versions of the 2nd generation of Le Max, which is Le Max2. Powered by the world's most powerful processor, Qualcomm ® Snapdragon TM 820, the phone, featuring the high performance combination of 4GB RAM+ 32GB on board memoryor6GB RAM +64GB on board memory, pushed the limits of the industry to new heights. With a RAM three times that of the iPhone 6s Plus, Le Max2 (6G+64G) is 40% faster performance than most competitors' models, and is also 17% faster than its predecessor, Le Max. Le Max2 features a 5.7 inch 2K Super Retina Display, the best display for VR equipment. Its 21MP rear camera comes with blazingly fast focusing speeds thanks to PDAF technology, it also has a F2.0 aperture with OIS for blur free images even in low light.The rear camera on Le Max2 shoots pictures with great clarity thanks to improved components or technologies like 6P lens, PDAF, Closed Loop, OIS, Dual HDR and Dual-tone flash and so on. The Le Max2 is also equipped with an 8MP front camera. Le Max2 also enjoys a super-fast 802.11ac Wi-Fi connectivity. It has dual-band and dual-antenna, which means Le Max2's Wi-Fi speeds are much 4 times faster than most of its competitors, who are on the Wi-Fi 2.4G band and twice as fast as those on the Wi-Fi 5G band. LeEco has also made impressive additions to its Supertainment membership program. In the coming months, through LeEco Membership program, users can get access to a collection of 2000+ movies. LeEco is all set to have the largest collection of blockbuster and award winning movies from across the world including top Regional Cinema from India – across Hindi, Tamil, Telugu, Marathi & Bengali films. Meanwhile, the program provides 3000+ hours of curated shows, 150+ live TV channels and 3.5 million songs for users’ choices. LeEco takes the lead in offering 1.9 million songs with lossless audio, bringing the users’ audio experience to a brand new height. With LeEco's Premium Membership program, users can enjoy premium content, exclusive discounts, a 5TB LeEco Cloud Drive Storage, live music & concerts with Lossless Audio, exclusive giveaways and offers, special events with celebrities and top entertainment talents and many more. Starting from this month, LeEco will also give members access to more than 50 online international live concerts. Through the new Superphones, LeEco has revolutionarily replaced the 3.5mm headphone port with the world’s first CDLA Type-C interface, leading an audio revolution to the earphone industry that remains the same for decades in India. As an industry pioneer, LeEco introduced a new digital architecture, CDLA technology that enables end-to-end lossless digital music transmission, the world’s first continual digital lossless audio standard. The two Superphones Le 2 and Le Max 2 are all set to redefine the smart phone audio technology world. Atul Jain announced the disruptive prices for Le 2 and Le Max2. For Le 2, the 3GBRAM and 32ROM combination Superphone comes at a price of Rs 11,999, including one year membership, which is worth Rs 4,900 if purchased alone. For Le Max2, the 4GB+32GB model will cost Rs 22,999, and the 6GB+64GB version will be at a price of Rs 29,000 and will include a one-year membership. LeEco will have its first flash sale for Le Max2 on June 28th, and its first Le 2 flash sale in early July. Registration for both the models will be open on June 20th on Flipkart. LeEco now has a 24x7 Call Centre where users can reach the company’s customer service personnel via calls, live chats and even on social media. It will support queries in nine languages. LeEco entered the India market with the launch of its Superphones in early 2016 - the Le 1s and the Le Max. Recently, the company launched its first, “Made for India” Superphone Le 1s Eco. The devices which are exclusively available on Flipkart, have truly disrupted the market with their best in class specifications at democratized pricing. Tin Mok, VP of Le Holdings and CEO, APAC of LeEco said, “All the announcements we made today are in synergy with our expansion plans in India and are a testimony to our commitment to the Indian market. We are very grateful for the tremendous user responses we have received so far on all our products and services. We remain committed to raising the bar each time and creating newer industry benchmarks with our technological prowess." Another milestone in the company’s India journey was marked by its foray into the retail space in the country on 7th June. LeEco has ambitious plans to set-up fully owned exclusive retail stores in top 8 to 10 cities, starting with New Delhi, Mumbai and Bengaluru along with 500 franchise stores. The company will showcase its entire product and services ecosystem at the stores; ranging from phones, TVs, VR Headsets, Bluetooth devices and power banks.